Nice folk oil on canvas of a Mill scene with an old Massey Harris binder working in the wheat field nearby. 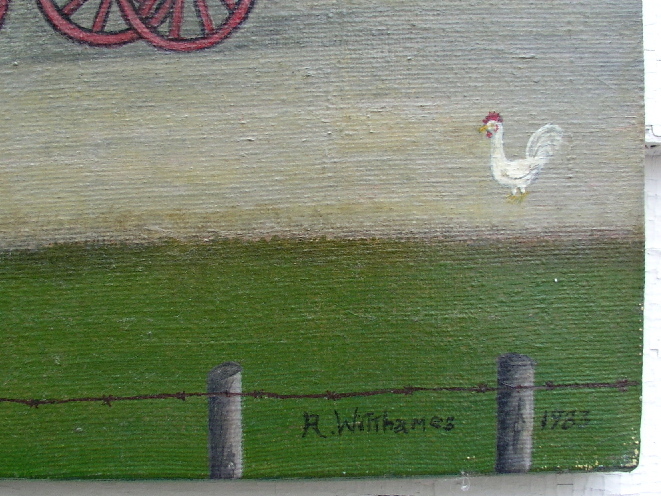 Signed R. Witthames. 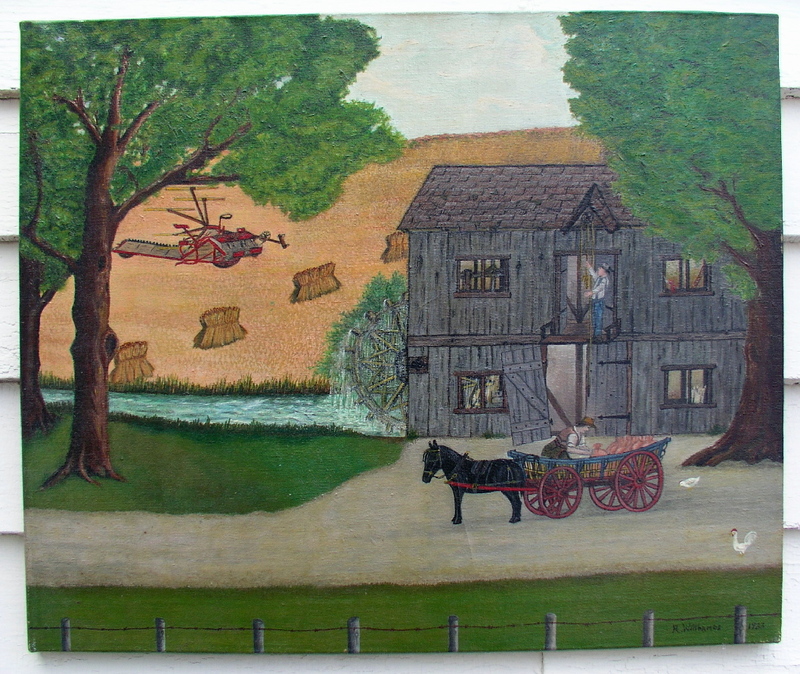 Titled on back The old Mill. Then noted, Old Massey Harris binder in the wheat field. Dated Dec. 6, 1983. excellent condition. Unframed. Found in Ontario. Attachment shows signature. 20" x 24"